A delicious combination of organic black tea, peppermint, spearmint and herbs is a delightful balance between uplifting and soothing. 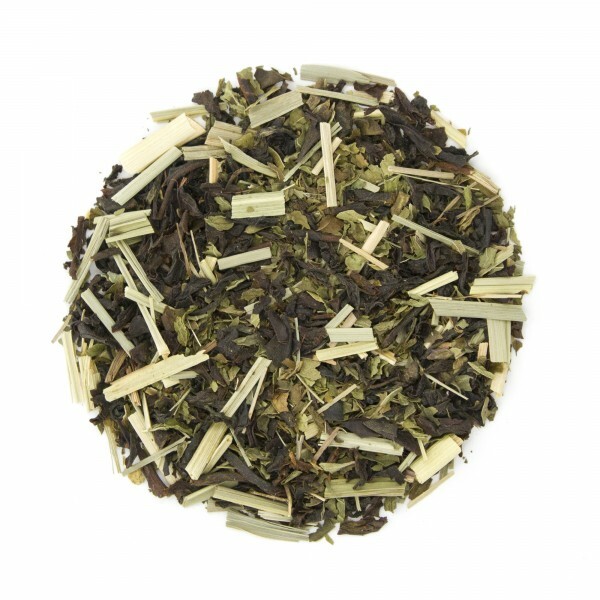 Bright notes and smooth black tea makes this well suited for hot and cold tea. I love mint teas and this is by far my favorite!! This tea promises exactly the sort of flavor profile you'd think it would, based on the name. Its minty character is highlighted by its ability to refresh the palate. It is very quietly comforting, and I find it is generally well liked by those new to loose leaf tea. My favorite tea at a good price. I had to give up coffee a year ago and am exploring teas. Organic mint fusion is my favorite. Love to have this in the morning after the kids are out the door. It finishes my waking up before I head out. Great iced too. A nice minty tea, an alternative to the chocolate mint (but that one is still a favorite!) very perky for slow mornings.